Camping can be considered roughing it, but some campground owners claim their businesses are thriving in a time when the travel industry as a whole has declined. In fact, a study by Statista reaveals that the number of people going camping in the US increased by nearly 4 million between 2088 and 2014. The outdoor hospitality industry typically refers to campgrounds, trailer parks, travel parks, RV parks and RV resorts. It’s divided into two groups of ownership: campgrounds owned by national, state and local agencies and privately owned and operated campgrounds. In 2009, there were about 8000 campgrounds of each kind in the United States. Bob MacKinnon of MacKinnon Campground Consulting says the privately owned and operated campgrounds range from corporate players with thousands of campsites to individual owners with small parks, many of which are multi-generational family owners. As families have scaled back their vacations to be more wallet-friendly, campgrounds are becoming a popular alternative for travel. 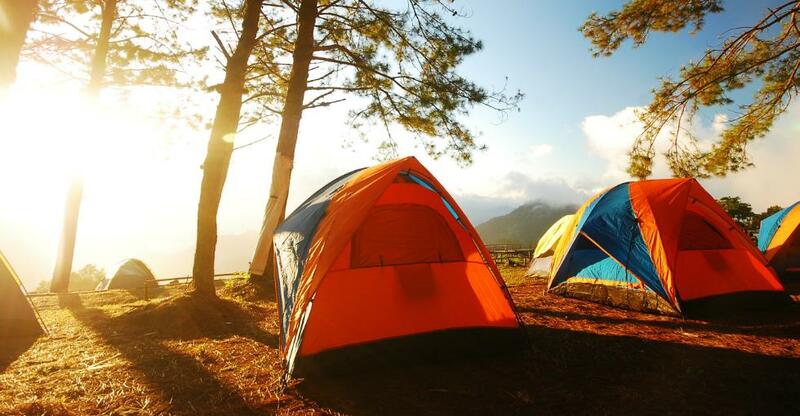 A study by PKF Consulting and sponsored by the Recreation Vehicle Industry Association shows that the average camping vacation runs 21% to 67% cheaper than a fly-drive-hotel vacation. With gas prices lower than we’ve seen in years, more people are taking to the roads rather than the air to travel. Since most people camp within 200 miles from home, that means they are seeking out local campgrounds. Owning a campground is definitely a seasonal business that is weather dependent. Most of the off-season is spent enhancing the property, from paving roads to upgrading electrical outlets and improving facilities like restaurants, pools and playgrounds. Today’s campgrounds offer amenities such as cable television, Wi-Fi and even outdoor movies. The nostalgic experience is certainly a big draw to local campgrounds, and some owners are capitalizing on this old-fashioned feel by providing social experiences like hay rides, ice cream socials, scavenger hunts, nature hikes and crafts classes for kids. Rick Yeager, whose family owns Rose Point Park Campground in New Castle, Pennsylvania tells Bloomberg Businessweek, “People come for the experience, not because they want to stay somewhere cheap. They want to make a campfire and be in a place where kids can run free and they don't have to watch them every minute. It's a throwback to where people grew up, when they knew their neighbors and everybody talked to everybody else." Campground owners describe their industry as somewhat recession-proof because of the fact that people already own their camping units, whether that’s an RV, trailer or tent. That, coupled with low gas prices, make camping for vacations an ideal choice for families and retirees. However, rising costs in sewage treatment, garbage disposal, electricity, water, employee benefits and property taxes will certainly affect the rates at campgrounds. Owners say they feel compelled to keep rates down since higher fees could shorten stays or even worse, keep campers away. This trend toward people taking modest, inexpensive vacations close to home makes owning your own campground a business opportunity that could smolder, even as the travel industry fizzles. If you enjoyed this article, sign up for a *free* BusinessesForSale.com account to receive the latest small business advice, features, videos and listings directly to your inbox! We spoke with ex-teacher Wayne Cullum about his children’s craft business, Crafted London. In our RV Parks Sector Spotlight we investigate the current market and the opportunities available to new RV park businesses.